It’s a great opportunity to bring even more to our clients in both locations by leveraging our experience with the team in New York. ADNET Technologies announced today that its brand integration with SAGE Computer Associates (“SAGE”) has been completed. Moving forward, the company formerly known as SAGE will be known as ADNET Technologies NY (“ADNET”). ADNET announced the acquisition of SAGE Computer Associates in January of 2015. At the time of acquisition, ADNET’s Albany location was re-branded as “SAGE Computer Associates, an ADNET Technologies Company.” The company has now fully transitioned to the ADNET brand. ADNET offers its full range of services from both locations, including managed IT systems; IT systems integration; security and compliance; application development, project management and business intelligence; and business advisory and strategy to clients throughout New England and New York. 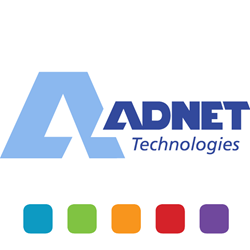 ADNET Technologies is a technology consulting firm with offices in Farmington, CT and Albany, NY. Since its inception in 1991, its mission has been to help clients create measurable business value from their IT investments, leveraging both its technological heritage and understanding of business principles. Visit http://www.thinkADNET.com to meet the ADNET team and learn how the firm guides clients to better ways to connect, collaborate and compete in a global market.